You wouldn’t leave your house uninsured or your kids on their own if you weren’t there to look after them. So why do so many of us leave it to chance when it comes to making a will to protect the people we care about and the things that we’ve worked hard for? You probably know that you should have a will, or if you have one and haven’t looked at it in years, you probably know that you really should look at it again and see if you need to update it. Most of us just assume that this isn’t going to happen, but if it did, how to you think you would feel when you know how simple a thing it is to prevent and protect against the types of problems that could arise as a result. If we think about it at all, we think making a will is a load of hassle and involves a morbid association with death. Wrong and wrong. Making a will is one of the most life affirming things you can do, because it allows to you get on with your life, guilt free and confident, knowing that you’ve taken care of the people and things that are really important to you. And even if you do think about making your will occasionally, one of the biggest obstacles you face is actually getting around to doing it; I have designed this e-Book to help you just do it! 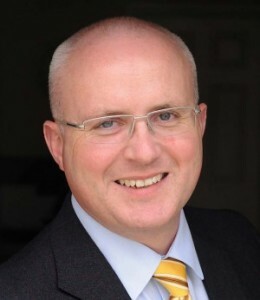 I have written an accessible guide in plain English that explains why you need to make a will and provides you with everything you need to know in order to so. In it I provide you with my Will Creation Toolkit that puts together everything you need to be able to make your will. I even provide you with my complete guide to making your will yourself without a solicitor if that’s what you want. So, access your FREE copy of my e-Book that will turn making your will from that job you don’t want to face or think about, to something simple and easy that will make you feel so good about yourself because you’ve done it that you’ll wish you’d done it years ago, and it’s all yours with my compliments and with no obligation whatsoever to you. 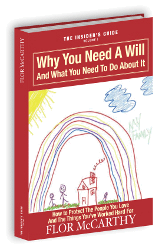 Download Your FREE Copy of My Plain English Guide To Help You Actually Make Your Will.